Neat’s optional, secure human verification ensures 99% accuracy for the key data extracted from receipts and bills. NeatVerify credits are included for free each month with Premium and Business subscription plans. You have the option to purchase additional credits, if needed. You have complete control to select which items you want verified. This is particularly useful for handwritten tips and totals on restaurant receipts! Complete control – easily toggle on or off! 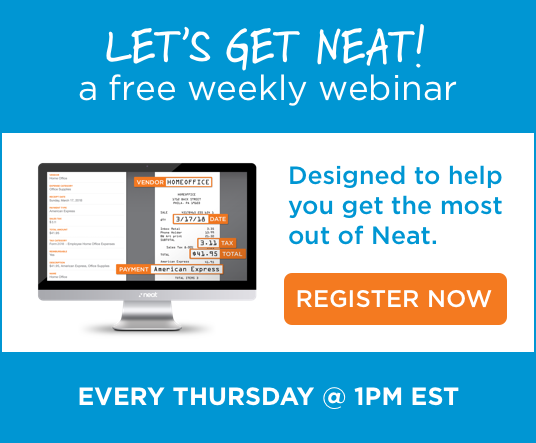 Neat uses a proprietary iD2 technology that leverages OCR (Optical Character Recognition) to read information from paper documents such as invoices and receipts. When information is not machine readable such as a handwritten tip, you can leverage a virtual data validation specialist to review the incoming data as it’s being processed to ensure the highest level of data accuracy with the lowest level of data entry required by you.